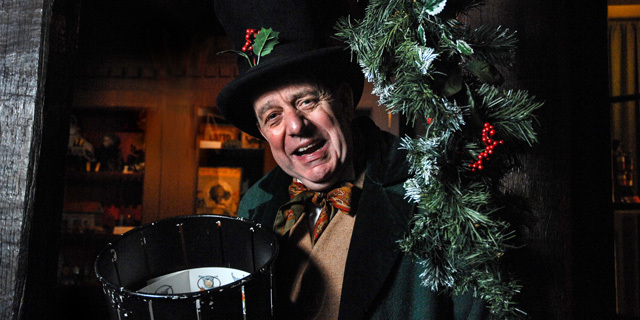 The Victorians transformed Christmas with new traditions that are still continued today. They still looked back nostalgically to a time when people left London to return to their estates in the country, remembering dancing, music and drinking and lots of food eaten communally and provided by the local squire. 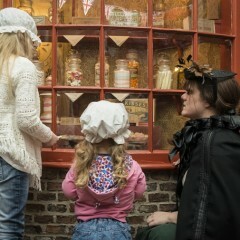 The modern Victorian Christmas became much more focused on children as childhood became a distinguishable part of life. Food was prepared for the small nuclear family of father, mother and children. 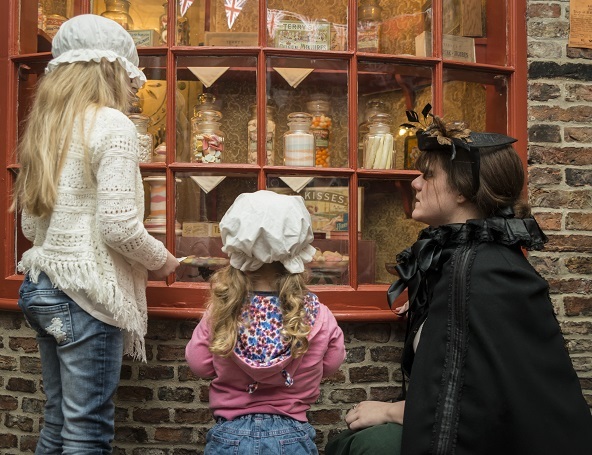 Make a visit to York Castle Museum this Christmas to experience some Victorian festivities for yourself! Cards – The custom of sending Christmas cards became popular from the 1860s and by 1880 the Post Office had to ask people to post early for Christmas for the first time. They had their origin in tiny 19th century New Year cards, developed from even earlier Valentine cards. The first official Christmas card was designed by J C Horsley, RA in 1843. One thousand copies were lithographed and hand-coloured in 1846 for Henry Cole, the first director of the South Kensington Museum. 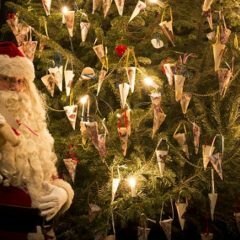 Presents – The focus of the holiday shifted away from the New Year during the Victorian period, with presents being given on Christmas Eve from the 1860s onwards. Many families simply placed small presents on and around the Christmas tree which was revealed in its glory on Christmas Eve with its candles alight, and children were handed their presents straight from the tree. Father Christmas – Father Christmas gradually began to appear as present giver at this time. At first presents were simply placed at the bottom of the child’s bed, or some of them were wrapped in cloth or brown paper. Later, towards the end of the 19th century, stockings were placed there. 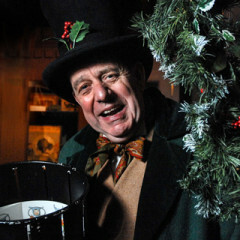 Decorations – Crepe paper twists and glued paper chains became popular in late Victorian times, but still accompanied by holly and fir garlands. This Europe-wide tradition of bringing evergreens into the house, holly, ivy, mistletoe and plants like rosemary, dated back for centuries. 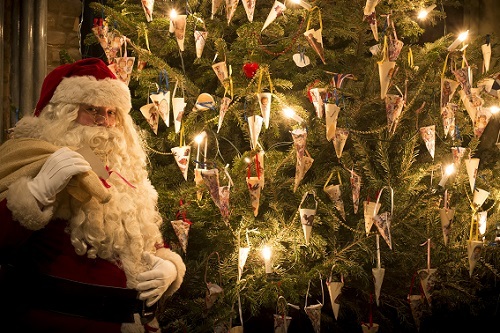 Christmas Tree – The idea of the Christmas tree was one that came to Britain from Germany in the late 18th century. But it was Queen Victoria’s husband, Prince Albert, who popularised the Christmas tree in this country so much so that he is often given credit for introducing it. Albert promoted the idea to the extent of giving Christmas trees away. 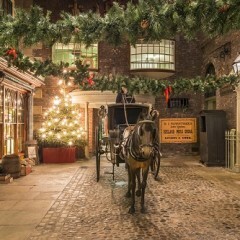 Carols – The Victorians did much to revive the tradition of carol singing. 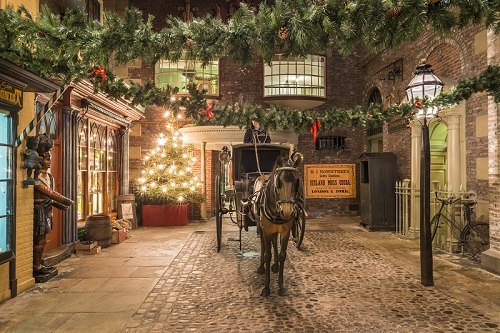 Victorian carols include Good King Wenceslas, written by the Rev J M Neale (1818-66) and Once in Royal David’s City, written by Mrs C F Alexander (1832 – 95).